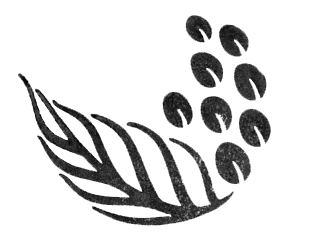 Brew Guide – Kalei Coffee Co. Step 1: Heat water and rinse the filter Put the kettle on the stove or use an electric water boiler. In the meantime, setup your dripper (e.g. Hario V60) on your cup or server and put the filter in. Once water is boiling, rinse the filter and throw away water in the server. Step 2: Measure and grind Measure out 28gr (4 tbsp) of your coffee beans and grind to a medium grind. Place coffee in filter. Step 3: Blooming phase Add some hot water to the coffee, just enough without letting it pour into the server or cup. Wait a few seconds for the coffee to bloom. Step 4: Brew Slowly add the remaining water in a slow, circular motion, making sure you don’t over pour. Aim for the darker areas of your coffee and stay away from the foam (light) areas when pouring to ensure a homogenous pour. Step 5: Enjoy! Once you’re done, remove the filter, and enjoy your freshly brewed cup. 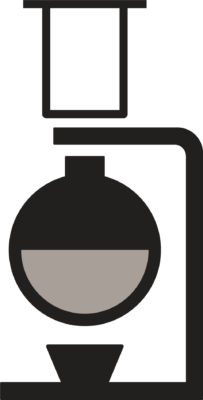 There are many brands of this brewing tool but the components of a siphon coffee maker are the same: The water container or the bulb, the coffee container or hopper, and the filter. If you have a removable filter, warming it up by soaking it in hot water is always a good idea. Step 1: Measure and grind your coffee Measure the coffee, preferably using a scale, and grind it to a medium fine grind. Step 2: Prep water and water bulb Place your water bulb on a heat source and boil the required amount of water. Wait for the water to boil. Step 3: Setup the coffee hopper Place the coffee container on top of the water bulb, gently but tightly pressing it in to ensure it is air tight. Step 4: Add the coffee Due to some forces of physics and a little magic, the boiling water from the bulb will migrate upwards to the coffee hopper. Make sure a little water always stays in the bulb to avoid any accidents. Reduce your heat source. Step 5: Brewing Add the ground coffee and gently stir with a spoon to ensure all the coffee is submerged. Once the water first touches the coffee, decrease your heat source and wait for 1min 10 seconds. Step 6: Cool, serve, and enjoy! 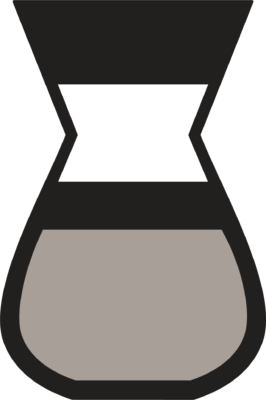 Take the siphon coffee maker off the fire and place it on a cool surface (normal kitchen top works perfectly). The brewed coffee should start going back down into the water bulb leaving the used coffee grounds in the top container. Take off the top part, and use the water bulb with the coffee in there as your server. Serve, and enjoy the greatness. Double or triple the ratio of coffee and water for larger pots. This ratio works for the Hario Cafe Press Slim. Step 2: Weigh and grind Coffee Weigh 20gr of coffee beans and grind them to a coarse grind. Step 4: Add boiling water Slowly add the water making sure you submerge all coffee grounds in hot water. Use a small spoon to stir very gently. Put the lid with the filter on top, start timing, and wait. Step 5: Press and Enjoy! Once 4 min have passed, press the lid down very slowly until you have reached the maximum. Pour into a cup or mug and enjoy. 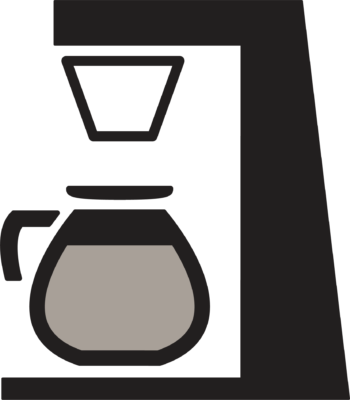 The Chemex is a drip brewing tool made by The Chemex company. It is famous for its clean cup and its nice aesthetics: the clean glass shape, its wooden handle, and its leather knot. The nice thing about this tool is that once, you are done brewing, it also acts as beautiful server! Step 1: Place the paper filter on the top Optionally, you could run through some hot water through the filter to dampen it and pre-heat The Chemex. Step 2: Weigh and grind coffee Measure out 42g (or 6 tablespoons) of your favorite beans or just use the same amount of ground coffee. Put them in the damp filter. Step 3: The Blooming phase – Start brewing Get water to a boil and add some on top of the coffee until they are saturated. Use a spoon to mix the coffee and water gently to ensure there are no lumps. Wait for 45 seconds. This phases starts the bloom and almost wakes up the coffee. Step 4: Continue brewing Very slowly, add more hot water in a circular swirling motion until the level has reached about 1-2cms away from the top of the filter rim. Wait for 1:45. Step 5: Finish brewing Add the remaining water in the same manner until done. At approx. 4 minutes you should have reached the top of the server. Step 6: Enjoy! 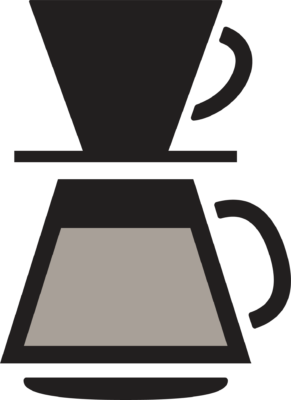 Remove the filter and serve coffee directly from Chemex into the cup. Step 1: Boil water It is important not to use boiling water with the Aeropress or your coffee will be bitter. To avoid that, bring water to boil in a kettle and let it sit for 1 minute before using it. You will need approximately 190-200mL of water. Step 2: Measure and grind your coffee Measure two full Aeropress scoops (scoop is included in the original box) or 15gr of coffee beans. Grind the beans using a normal blade grinder until fine. Step 3: Wet the filter Assemble the press following the easy instructions on the manual, place the paper filter inside the cap, and place it on top of your soon-to-be good cup of coffee. Pour some hot water to wet the filter. Step 4: Add the coffee Place the funnel on top of the cup and pour in the coffee. Remove the funnel. Step 5: Brew Add the hot water on top of the coffee until it reaches the top line of the Aeropress. Stir with the paddle stirrer or with a normal spoon very briefly to ensure all coffee has been immersed in hot water. Step 6: Press Place the plunger on top and strongly press it down to the bottom until you hear a hiss. That is your sign for the end of the process. Step 7: Adjust to your liking and enjoy your cup! It is important to note the Aeropress makes a concentrated cup of coffee. Taste the coffee when done and add hot water according to your taste preferences. You could also split the coffee into two mugs and add some hot water in both. Cold brew is the process of steeping coffee or tea for a prolonged period of time (usually more than 12hours). It is an ancient method of drink preparation and requires some patience, but definitely has its own virtues. For example, cold brewing coffee results in a much less acidy and smoother drink. Experimenting with ratios is the best way to find your ideal drink. Step 1: Weigh and grind coffee Weigh out 225g of beans using a kitchen scale and grind them to coarse grind (like french press grind). Step 2: Prepare container You can use a simple plastic bottle or container keep in mind that you will have to poor the liquid out when done brewing. Step 3: Add beans and water Put the ground coffee in the container and add all the water in, making sure all coffee has been submerged. Do not mix with a spoon, instead use a spoon to slightly press the coffee that is on the surface below the level of water. Do not repeat more than once. Step 4: Wait it out Let it steep for at least 12hr and a maximum of 24hr in the container. The coffee is brewing. Step 5: Filter Filter the cold brew mix into a serve using a normal kitchen strainer or one of your coffee paper filters with a funnel (or with your dripper!). Step 6: Enjoy it the way you like it! The cold brew drink you just prepared is a concentrate. Mix it with water using a 1:2 or 1:3 ratio, with milk, sugar, and practically anything you like. Just add ice cubes and enjoy. The concentrate can last you two weeks in the fridge! The classic coffee drink – Whether you own an automatic espresso machine or a manual one, an excellent espresso lies in the tiniest details. Here are some instructions to make your own at home if you own a manual espresso machine or refillable espresso pods. Step 1: Adjust your grinder and set your dose For those of you who own an espresso grinder at home, adjusting it every day is a must. Differences in temperature, humidity, roast, beans, etc. will all affect the end ground coffee. If you have a double porta filter, the right dose is 14g. For a single, the right dose is 7gr. You can change the dose according to the coffee you’re brewing. Yep, a barista’s life is tough sometimes. Step 2: Grind Grind the needed amount of coffee into your portafilter or your refillable coffee pods. An espresso grind should be a fine grind. Step 3: Brew and Enjoy! Make sure your water is hot enough before brewing. If you own a manual espresso machine, follow prep instructions before brewing. The end drink should be somewhere between 25-30mL. 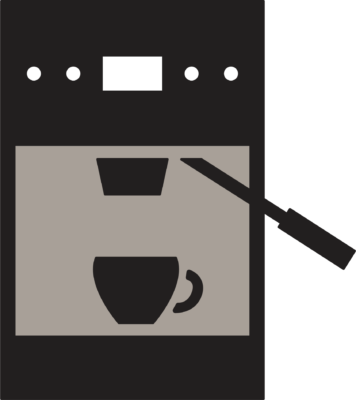 The automated drip machine, commonly called a coffee maker in the U.S., is a reliable coffee brewing tool that ensures you have a consistent cup all the time. If you want to make a larger of amount, make sure to maintain the ratio of coffee to water. Step 1: Place filter in its compartment Make sure filter is clean before doing so. Step 2: Add the coffee Measure out your beans and grind to a medium or medium fine grind size using a normal grains grinder, or just use ground beans. Add the coffee in the filter and close filter compartment. Step 3: Add the water Measure out 175mL for every 1-2 tablespoons of coffee and add it to the water reservoir of the machine. Step 4: Press Start Wait for all the water to be out of the reservoir and then turn off the machine. Step 5: Enjoy! Once the water is all used up and the coffee is now brewed, immediately get the server off of the warming plate to prevent it from burning. Coffee should be ground extra fine for turkish coffee. Step 1: Boil water Place your ibrik on the fire with the required amount of water and bring to a boil. If you like your turkish coffee sweet, now is the time to add the sugar. Step 2: Add the coffee Remove ibrik from heat and add the required of coffee in. Do not mix. Let it lay on the surface. Step 3: Brew Put it back on heat and let it come to a boil. Once the coffee foams, remove it from the heat again. Again, return to heat, allowing to foam and remove from heat. Step 4: Let it rest and serve Allow to sit for a few minutes for the grounds to settle to the bottom of the ibrik. Pour into turkish cups or demitasses and enjoy. The above is for a 1-cup Moka pot. Moka pots come in different sizes and brands. When making coffee using this method, always fill up the water up until the bottom of the safety valve and fill up coffee to fill the top compartment loosely. This is your best way of measuring your coffee to water ratio. Step 1: Prep the water Boil some water on the stovetop or water boiler. When done, pour them into your Moka pot’s bottom component straight off the boil. Step 2: Measure and grind the coffee The compartment which will hold your coffee resembles a cap and should be placed inside the bottom component. Measure your required amount of coffee using a scale or just fill up the cap until it is full. 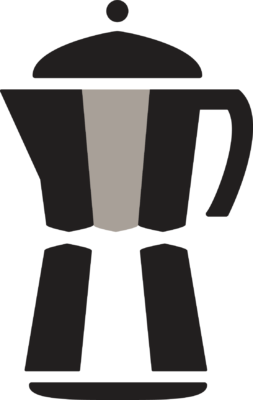 The Moka pot requires a medium fine grind. Coffee should be sitting loose and not tamped. Step 3: Mount the Moka Pot Screw in the top part of the pot onto the component that’s holding your water and coffee and close the lid. 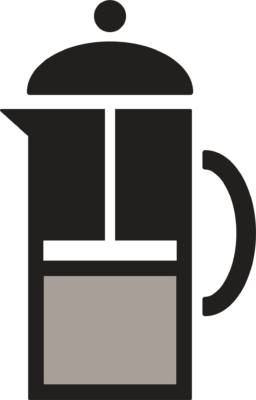 Step 4: Brew Put the Moka pot on the stove or hot plate on medium heat and wait for it to do its magic. 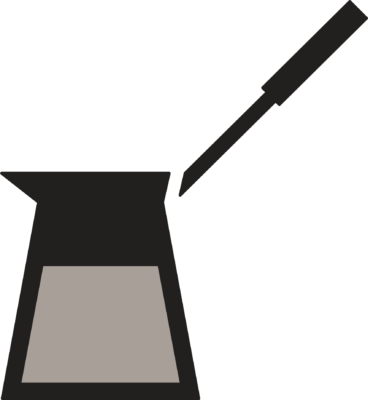 The water, when heated, will head upstream through the coffee component, brew, and then deposit the brewed coffee into the top component of the pot. This should happen relatively slowly and water coming up shouldn’t be exploding. You’ll hear a beautiful hissing sound when it is done. Step 5: Serve and enjoy! This is the closest thing you can have to an espresso at home without a machine. Best served in espresso cups. Enjoy!